Note - this is the first in a regular series featuring members of Vancouver Sustainable Fashion Designers (VSFD). 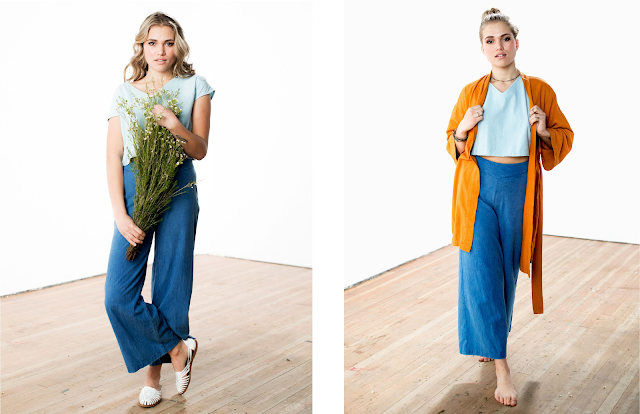 I am often asked where people can buy sustainable fashion locally, so felt this series would help to answer that question. Enjoy! Please share about your journey to become fashion designer? Looking back, can you remember any moments growing up that hinted you'd embrace this career. I’ve always been into dressing up, making things and looking at fashion through an artistic lens. I started creating jewelry when I was 10 and selling it to shops that would consign my pieces. I ran my first fashion show in grade 9 and sold my printed tees and vintage finds at school events. In high school we didn’t have a fashion program so my art teacher and I created one through the art program. Hopefully they have a program running there now! I applied to Ryerson University and was accepted into the Fashion Design program. I opened my first boutique at age 21 in Ottawa. Since then, I’ve owned and operated 11 different store fronts that carried my own designs, other local sustainable designers, and vintage. It’s always been part of my maker motto to be a responsible eco-designer. I’m not sure how it started; I suppose it’s been passed down from the generations behind me. Our grandparents lived through a time where everything was saved or recycled and I observed a lot of that as a child. I’ve incorporated these values into my design by using reclaimed textiles that are natural and bio-degradable and using natural dye colours. I’m also trying out a pre-sales campaign model right now: fulfilling orders rather than producing a surplus of clothing that cannot be sold. Nature is so inspiring to me - the colours, shapes, textures. I also find inspiration in history and culture. History is constantly repeating itself. I love classic silhouettes that can transcend time and still look amazing and stylish. I work in film so I watch a lot of movies that I draw ideas from. Please share a bit about your brand - client, materials, type of clothing you offer, where it's sold, collections or made to order? Jessica Redditt Design is handmade in Vancouver, BC. I select natural and reclaimed textiles, and construct timeless and romantic silhouettes. Each garment I piece-dye in natural botanical colours. They are also available undyed by request. The collection consists of a wardrobe that can be worn together or separately, for any occasion. I’m launching a 6-piece capsule collection, called In Bloom through pre-sales on Kickstarter, April 20-May 20, 2018. Though we are entering an era where the general public is now aware of what “sustainable” means, few people are able to put their dollar behind it. When there are so many temptations nearby to shop “fast fashion”, it’s not easy to be heard and noticed. I would say reaching a larger audience that will support the cause of a sustainable brand is the biggest challenge I find to date. It’s great to remind people, or ask them about where their clothing comes from and who do they think made it. I try to guide my customers through the lengthy process of creating one garment: from sourcing, designing, to dyeing and then a finished product. I also try to emphasize how fast fashion is actually killing our planet and that it’s so longer an option for us to ignore how garments and products are manufactured. I’m working at becoming a plastic free and zero- waste household. We compost everything, recycle, and try not to consume too many packaged goods. I really love the idea of being self-sustained within a household and a community. We are learning to grow our own food, shop less and use our resources to make more of our own things. I’m also growing a dye garden for colouring my natural clothes! 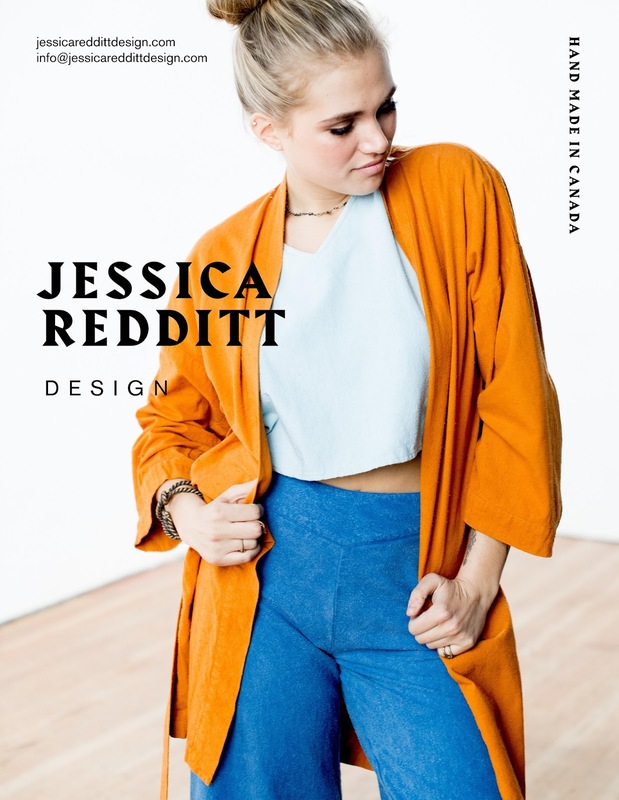 How did you connect with Vancouver Sustainable Fashion Designers, and what are the benefits of being a member? I met Irina from VSFD about a year and a half ago at Eco Fashion Week ( the last one!). I’m was new to Vancouver to the Vancouver Fashion Scene, so Irina introduced me to the group and so many amazing people. What a bright community it is! I’m so grateful to be connected. It’s different than any other fashion community I’ve been a part of. Really inclusive and friendly. I’d love to spread the word about my new collection. I’m running a Kickstarter campaign until May 20th, pre-selling my first collection. It’s a great way for me to meet my first time clients and interact with them. And I’ll be showing the collection at the “Art World Expo” this Friday May 11th at the Telus Science Centre and at the “She Is We” Event at the end of May. If you attend, please stop by, say hi and check out my collection.